Boone, established in 1974, is a worldwide partner in engineering, technical solutions and trading within the maritime, industry and infrastructure sector. Through the years we developed as a specialist and became partner in production, repair and sup-port in drives for the offshore, dredging and maritime sector. Since 1989 we have the know-how of Rhenania gear units, as we took over the drawings and moulds of the complete product range of Rhenania. In 2002 we have expanded our industrial activities. This division of our company offers specialised solutions in gearboxes, couplings and brakes for harbour cranes as well as movable bridges, locks and sluices. Besides products and knowledge we also conduct the complete project from start to completion. With our experience, knowledge and no-nonsense policy, we are able to deliver high quality products and service short-term. Our service engineers have gained extensive expertise through many years of experience and are able to inspect, maintain and repair gear units and couplings. 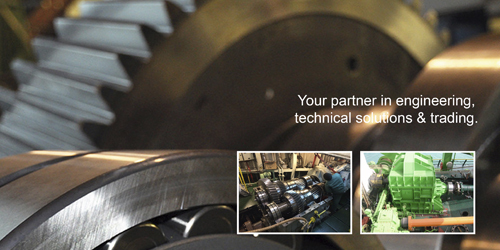 You can contact Boone for total solutions, components and spare parts, as well as for advice and repairs worldwide.